High demand for housing in Bristol can make it attractive to seek to use buildings accommodating small businesses, including community uses such as pubs, into residential use. Bristol Civic Society’s Planning Application Group (PAG) considers many such applications. Although additional housing is required in Bristol, space is also needed to provide jobs and services and homogeneous residential areas are not necessarily interesting places in which to live. Through PAG, the Society generally campaigns to retain a variety of uses, although change from commercial to residential use can be beneficial – for example in Portland Square where the Society welcomes the restoration of appropriate residential use. 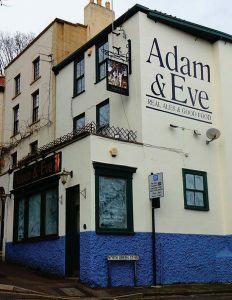 Over the last six months, PAG has opposed the conversion of the Adam and Eve public house at Hotwells, the Merchants Arms in Stapleton Road and the Pineapple in St George’s Road. All of these applications were seeking residential uses. The first two applications have been withdrawn. 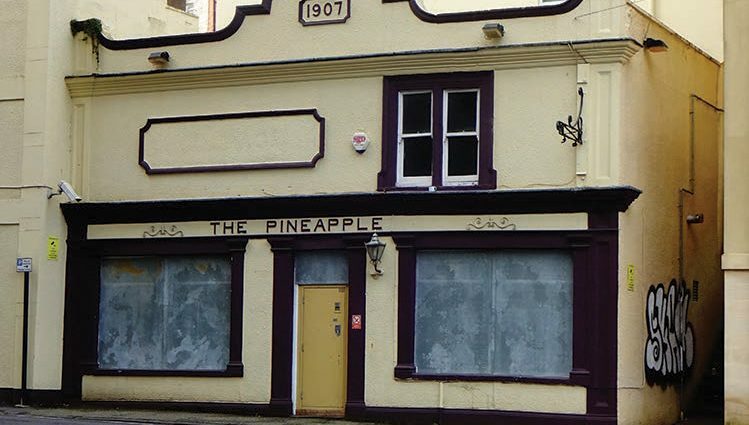 The application for the Pineapple Public House has, unfortunately, been granted. PAG has also supported the St Paul’s Planning Group in objecting to the conversion of the retail unit at 3 Grosvenor Road to residential use.